We often make the mistake to speak of the diameter of the seatpost. In fact the seatpost clamp works on the frame that holds the seatpost. The equivalence "seatpost diameter - outside frame diameter" is not always the same, because the thickness of the frame changes if we use different materials. The QX frames in Aluminum use a 25.4 seatpost and a 31.8 seatpost clamp. Up to 2016 the Nimbus Eclipse and the Equinox frames were using a 25.4 seatpost and a 30.8 seatpost clamp. Starting from 2017 they mount a 25.4 seat-post and a 31.8 seatpost clamp. The QuAx RGB frames mount a different measure and are not compatible with other products. Here we mount a 31.6 seat-post and a 34.9 seatpost clamp. The 3bolds clamp (3b Double Clamp) is an innovative product developed by Mad4One in 2017. 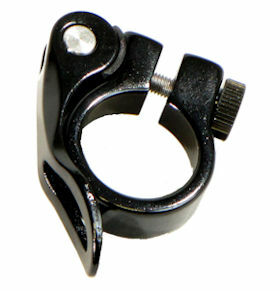 The 3b-DoubleClamp is a One-Piece CNC machined Aluminum clamp. An innovative solution that securely locks the seatpost and frame together. Take care, not to over tighten the screws with this clamp. You no longer have to sacrifice your frame to ensure a tight seat. 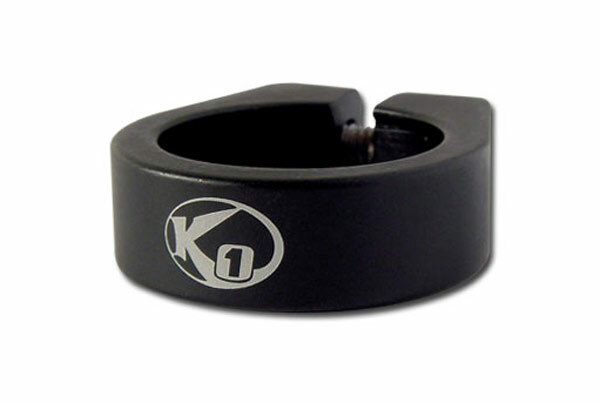 The 2-bolds seatpost clamp is the one that should guarantee the best tightness, but it is not always sufficient. The 1-bold seatpost clamp is the lightest and if you use it with "mechanical intelligence" it should not give you big problems. Some 1-bold clamps are so light that they show limits in their robustness. The quick release is the most comfortable one, but for example, in basket or hockey, the quick release is considered dangerous because the lever that sticks out can hurt you in case of falls. When you are performing advanced tricks the quick release can be uncomfortable and even annoying. Sometimes the single quick release is not sufficient, for this reason, we propose to mount a double quick release. Pay attention when tightening the bolts. Please do it gradually, slowly almost gently. The steel bolt may easily damage the fillet of the Alu-Clamp. All clamps you find in our shop are in Aluminum. 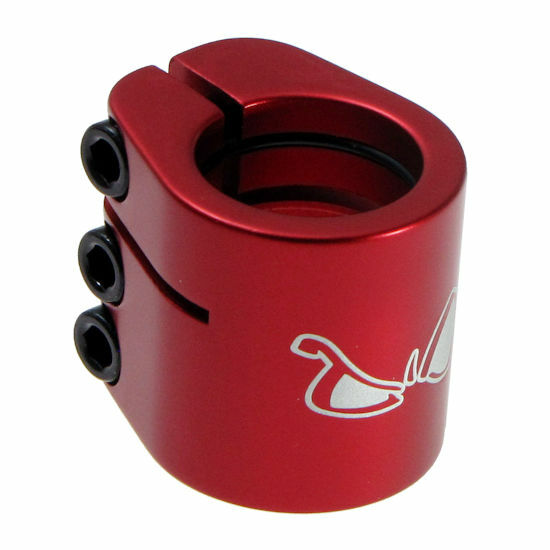 As regards the color: all our seatpost clamps are anodized in Italy in the 13 different made in Italy colors. Just choose the one you love :).